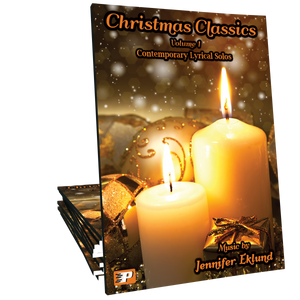 Contemporary Christmas Solos Combo Pack includes a copy of Christmas Classics Volume 1 and Volume 2. Twenty-six solos for intermediates-one low price! 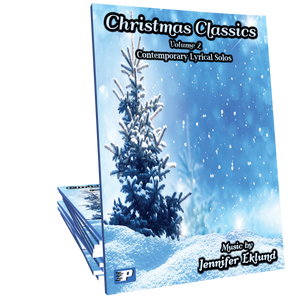 These arrangements of familiar carols are just lovely. Listening to them now makes me want to buy one just for myself. These would be excellent for holiday parties as well as Christmas Eve services. My students will truly enjoy playing these classics. 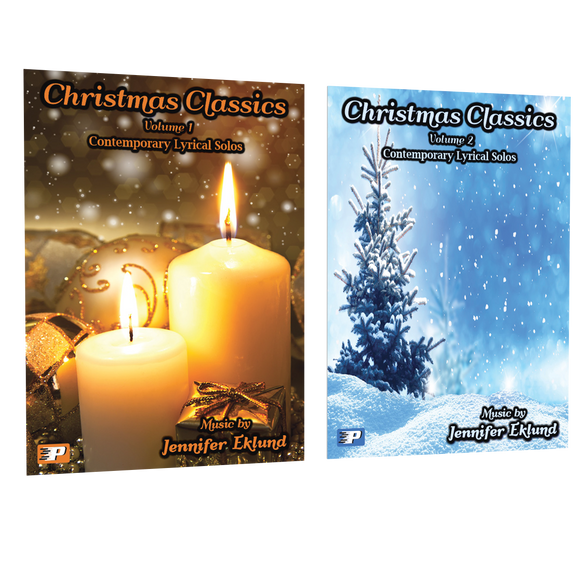 All of the songs in these two books are beautifully arranged by talented Ms. Jennifer. I’ve owned many Christmas songbooks and sheet music by various contemporary/new age composers, but these are sure going to be my favorite from now on to be used all year long. My favorites are “Silent Night”, “Joy to the World”, “Carol of the Bell” and all three of her outstanding “Medley:”. A must buy if you love contemporary/new age type of piano solo music.